On March 17, millions of people across the United States, Irish or not, will revel in the celebration of St. Patrick, the patron saint of Ireland. Here are some numbers that look at the history, the money, and the fun that make up St. Paddy’s. Slainte! 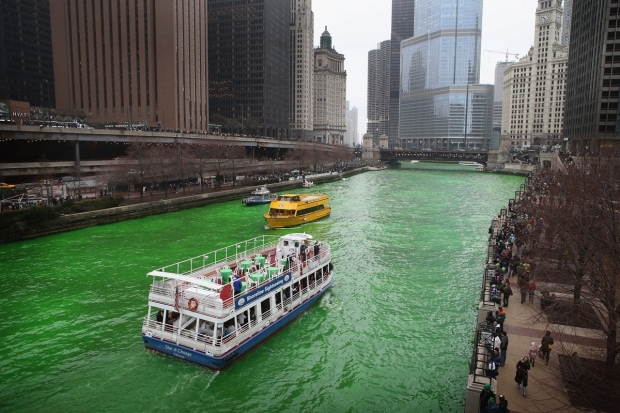 Tour boats travel the Chicago River after workers dyed it green to kick off the city's St. Patrick's day celebration on March 16, 2013 in Chicago, Illinois. 256: The number of years the New York City St. Patrick's Day Parade has been held. Over 40 years: The length of time that the Chicago Journeymen Plumbers have turned the Chicago River emerald green for the St. Patrick's Day celebration. 22: The number of years Ireland itself has held a St. Patrick’s Day Festival. 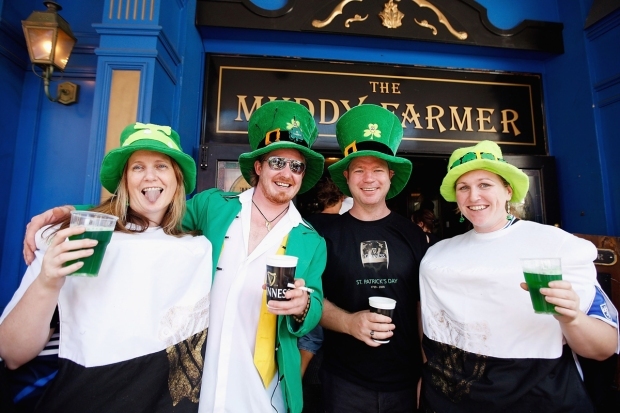 Revelers drink Guinness beer and enjoy the festivities on St Patrick's Day at the Muddy Farmer Bar on March 17, 2009 in Auckland, New Zealand. 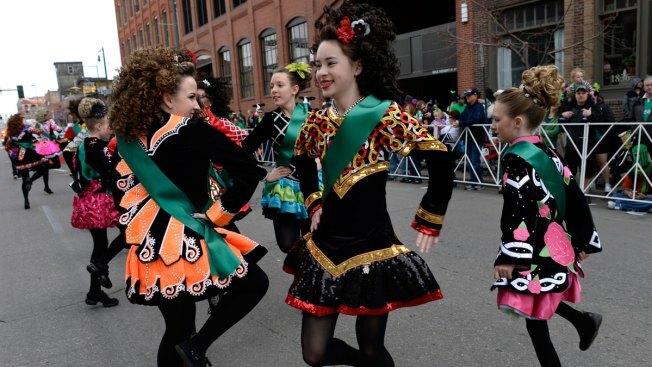 Nearly $500,000: The amount of donations the annual NYC’s St. Patrick's Day Parade has received from donors like Ford Motor Co., Tourism Ireland, Guinness, and more in 2016 as of March 7. $4.44 billion: The amount Americans are expected to collectively spend on St. Patrick's Day in 2016, according to NRF. $39.35: The amount an average American is projected to spend on St. Patrick’s Day-related goods and services, according to NRF. 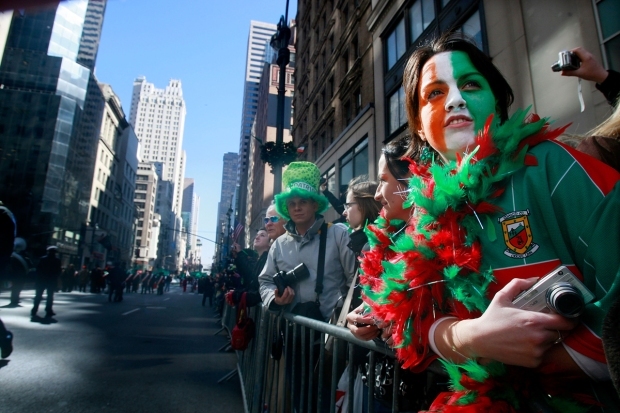 Spectators watch the 248th annual St. Patrick's Day parade March 17, 2009 in New York City. The parade honors the patron saint of Ireland and marched for the first time on March 17, 1762, fourteen years before the Declaration of Independence. 56.5 percent: Percentage of Americans who plan to purchase food and beverages to celebrate St. Patrick’s Day, about double that of the next closest item: clothing. 111,060: The Guinness Book of World record for the largest collection of four leaf clovers. It belongs to Edward Martin Sr. from Cooper Landing, Alaska. 1970: The year Ireland changed St. Patrick’s Day from a religious to a national holiday, allowing alcohol to be served on March 17. Patrick Smith and Daniel Sircar contributed to this report.